With syrup on the side for dipping, this wonderful sweet and salty breakfast concoction is a breath of delicious air in a bland world. 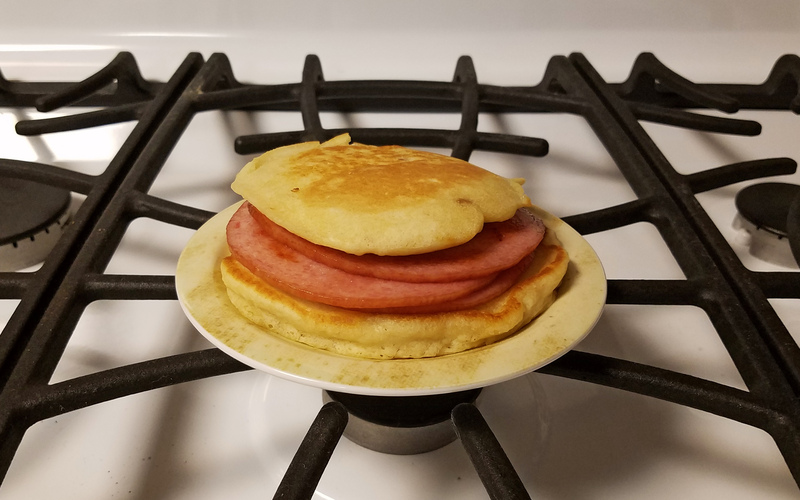 The sweet syrup, absorbent pancake, and greasy pork roll all combine in a dazzling display. In a prep accident, these pancakes even ended up a tad on the salty side, which made for an even more flavorful (albeit unhealthy) experience. After this breakfast, your day is going to have a lot to contend with!